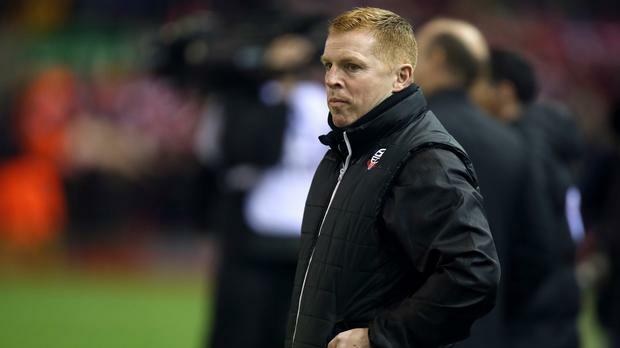 Bolton boss Neil Lennon had trouble convincing Andy Kellett that his loan move to Manchester United was not a wind-up. The 21-year-old left-back's switch from Bolton to Old Trafford for the rest of the season was the most surprising deal done on transfer deadline day. And it was not just fans who were taken aback by the news. Trotters boss Lennon said: "He hadn't got a clue. He was on his way to Plymouth. He thought I was winding him up. "It took a good five or 10 minutes. He wouldn't believe us. We told him to ring his father and we'd tell him, and once that happened I think it started to sink in. Kellett came through the Bolton academy but has made only one start and three substitute appearances for the Trotters. He impressed during a two-and-a-half-month loan spell with Plymouth in League Two and had been set to return to Home Park before United intervened. Pacy midfielder Saidy Janko has headed in the other direction, also on loan until the end of the season. Lennon said: "We were aware of the interest from Manchester United a week ago or so and then when we made the call about Saidy they asked would Andy go the other way. "He's a great kid. This was an opportunity that we couldn't stand in his way so hopefully he'll go and make the most of it." Neither Janko nor Bolton's other three deadline-day signings are eligible for Wednesday's FA Cup fourth-round replay against Liverpool. The Trotters held Brendan Rodgers' side to a goalless draw at Anfield last month to earn a crack at the Premier League giants at the Macron Stadium. Bolton's ground could be the venue for Daniel Sturridge's first start since August. The England striker has been sidelined by a thigh injury but made a goalscoring return as a substitute in Saturday's 2-0 win over West Ham. Bolton know full well what Sturridge's capabilities are, with the 25-year-old spending a very profitable spell on loan at the club in 2011. "He's been missed, there's no question of that. He'll be hungry to play and that's obviously very dangerous for us. "I think he walked round the back of the goal in the first tie and got a huge reception from the Bolton fans. Speaking to the chairman last night about him, he said he was fantastic here so I think he'll get a nice reception. But if he scores that might change a little bit." He said: "I don't want to talk too much about Zach because everyone's asking about him and I don't want to build him up into something that he might never be. But he's a very good young player and he's made a tremendous start to his career. "We had no hesitation in putting him in the team and as soon as he was fit we put him back in the team. "He seems to handle whatever pressure he feels - he looks to me like he doesn't really feel the pressure at all - and tomorrow night will be no different. "He'll certainly want to play. Whether I pick him or not is another thing but if he does play then I'm sure he'll be really looking forward to it."